Steep Canyon Rangers have been at the center of the American bluegrass scene since the early 2000s. 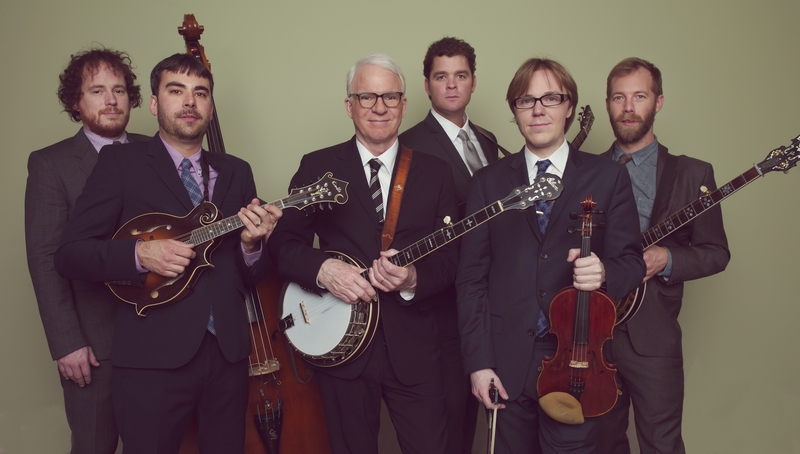 For the past ten years, they've been collaborating with legendary comedian and banjoist Steve Martin. We caught up with guitarist, lead vocalist, and seasoned tour pro Woody Platt to get some tips for making the most of being out on the road. We’re in Green Bay, Wisconsin, playing with Steve Martin tonight. You know, it’s kind of a never-ending story. We don’t tour, per se, like some artists tour, where you go out for several weeks and then take time off. We’re weekend warriors. You know, we’re out there Thursday, Friday, Saturday, sometimes Sunday, and then fly home for three or four days, and then head back out. So it’s less of a tour and more just our life. We’re always on the run somewhere, but this particular run is just starting. How did you guys first get linked up with Steve? So we went and had dinner, and played some music, and we never stopped being in contact after that. He called me and emailed me, and we just stayed in touch, and one thing led to another. And almost a decade later we’ve played hundreds and hundreds of shows with him. That’s crazy. Was it pretty surreal getting that call? Yeah I mean, we just had that one visit, and I thought the whole thing was going to be a jam session and a photo op. So, it was surreal, and then it was fun, and pretty soon he was sending us some of his music to learn, and then he guested with us on a few shows, which was incredible because so it was always a big surprise for the audience. In the music business, everybody’s looking for a break, you know? And you never know where it’s going to come from. Ours was a call from Steve Martin. Is there anywhere you've toured that surprised you? That’s a tough question. You know, I think when we were younger, any time we had a big audience show up it was a surprise, you know? We were just like, how did these people learn about us? And how are they all here? But if you think about it regionally, or by state, gosh, I’d have to say Colorado was the first state outside of North Carolina that kind of embraced the band. It’s such a music-loving state, and the type of music we were playing fit right in there. We’ve developed this really interesting sort of fan base in the Pennsylvania area in and around Gettysburg, and even in Baltimore, and that surprised me. As a bluegrass band, I didn’t originally target that as a market for us. But it turned out that, because of some of the bluegrass festivals that were in those areas, and because of some of the bands that pioneered those markets, the scene was really ready and really receptive to our show. That part of the country has been a surprise to me of how much support we’ve had. Is there a venue back home that you love to play? Yeah, it’s so fun to play in your stomping grounds in North Carolina. And for us, for a long time, it was the Cat’s Cradle. That was our first big gig as a young band. And now it’s Memorial Hall, which is the premier venue on the campus of UNC. You know, so it was the place that we’d go see lectures, or go see guest speakers, and now we’re headlining shows there. So it’s kind of full circle, and incredibly rewarding. In the Asheville area, we have had a lot of years of The Orange Peel, and I just love The Orange Peel. We’ve since moved to the Explore Asheville Arena, but that’s newer for us. And in Brevard, there’s a place called Brevard Music Center, where some of us actually graduated from high school on that stage. It’s just surreal to be on that stage and think, you know, this is where I was standing when I was 18 getting my high school diploma. Is there anywhere that you haven't toured yet that you'd like to? 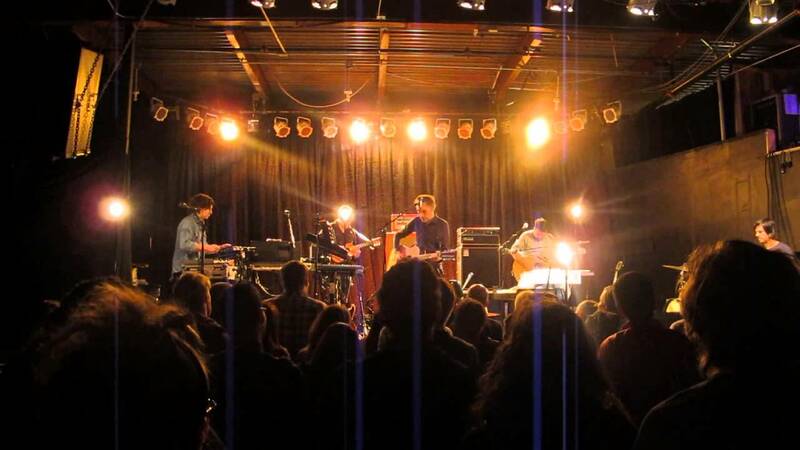 We’d like to tour more in the Midwest, especially the upper Midwest. There’s a scene there that we’ve just started to dabble in. Our tour history has been mainly on the East Coast, plus Colorado and out West, and we’ve just kind of skipped the Midwest somehow. So we’re starting to work our way back there. What do you like to do when you’re not playing or traveling? The art of tour is being able to manage your downtime, you know? Because there’s a lot of downtime, especially if you tour by bus. You typically wake up backstage, and you don’t necessarily have to do anything for the show for half the day. So there’s a variety of things that we do. We exercise—that’s sort of a must. Everybody tries to get out and move around, walk, or run, or just see the city. And everybody has their different approaches to their time. A lot of the group likes to find local record stores. If there’s any significant museum or sort of attraction in that particular city, we’ll often do that. For me, I’m a pretty serious outdoorsman. I love to fly fish and get outside, so, I’ll oftentimes try to connect with somebody local, or sneak off to a local trout stream, or a place that lets me just get out in the woods for a little while. What are some of the best areas for those kinds of things? If we play down on the Florida coasts, we can scare up a fishing trip pretty quickly. We have a friend that we fish with in St. Pete. And out West, there are just endless opportunities, and I’m always connecting with somebody to slide out for a trip. When we played Red Rocks, Graham, our banjo player, and I went out on fishing trips. I met up with a guy who runs a fly shop in Boulder, and we hiked into a beautiful trout stream, didn’t see anybody, and had an incredible day. It’s a really neat juxtaposition to living on a bus, staying in a hotel, and being on stage. it’s the opposite feeling, and I think it really gives me chance to refill my tank so that the tour feels peaceful and makes sense. 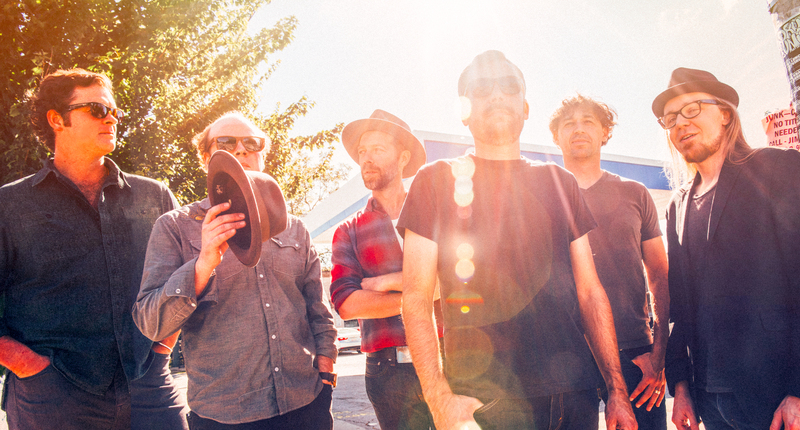 We asked Steep Canyon Rangers to make us a playlist of some of their favorite artists from Asheville. How do you get in touch with those local guides? Usually it’s somebody that we know, or somebody’s friend, but occasionally I just hire somebody. We were playing DelFest in Maryland a couple years ago, and we just called a local guide to help us get to the right place. It’s not something that everybody in the band does, but it's something I love to do, and our banjo player likes to do. And you know, you’re gone a lot, and you got a lot of free time, so it just seems healthy. When you're on the bus, do you listen to anything or read any books to pass the time? 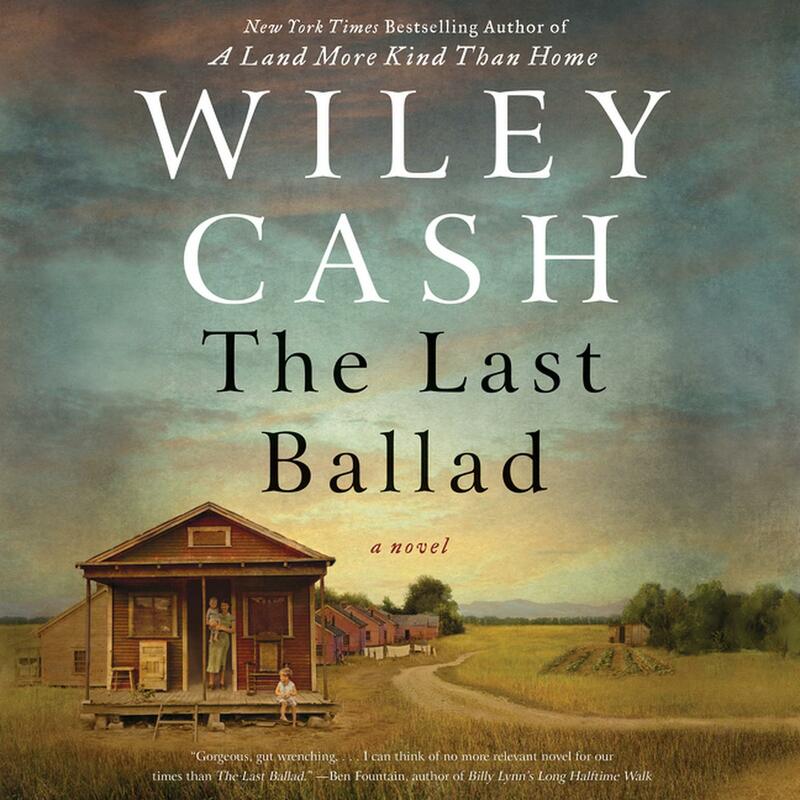 Yeah, we’ve all been reading Wiley Cash’s latest book, Last Ballad. We listen to a real wide variety of music on the bus—we listen to old country, we listen to a lot of reggae. We don’t necessarily ride around listening to bluegrass. Across the band, there are so many different musical influences and interests. But typically people are in their own bunks, you know, checking out their own kind of TV shows. Like, everybody’s watching Ozark. When you’re packing for the road, what’s the smallest thing you bring that makes the biggest difference? Recently somebody gave me some passion flower extract and it has helped me sleep. You know, I’ve tried the CBD and all that different stuff, but the passion flower extract that our bass player’s wife gave me has been the best. I’ve had a really hard time sleeping. Part of it is that I’m rather large, and the bus is, well, kind of small. And so, just the rumble of the road really gets to me. Sometimes I’m pretty much awake all night just tossing and turning and trying to fit into this little coffin of a bunk. So, she gave me this passion flower extract, and you just put a little bit of it in water, and it’s fabulous. Especially because when you get home from tour and you’re tired, you get no sympathy. I’ve got a two-and-a-half year old that’s waiting to play with me and a wife that would like a little break. So I try to walk in off the road and just immediately transition into home life. You just got to walk in, and do the dishes, and jump right back into life. What is it that you miss most about home when you’re on the road? My family, of course. I mean, my wife, and I have a two-and-a-half-year-old son who’s just coming to life in a major way. And so, I miss that so much. But I also just miss the peace and quiet of living out in the country, and I miss the quiet sounds at night. If I’m being honest, I also miss the schedule of regular hours. Sometimes I miss the traditional family routine—not that I've ever had it because we've been doing this our whole adult life. Luckily we’re a band of really close friends, so we’re also traveling as a family as well.